We surveyed 1000 Canadians across the country to understand their attitudes and behaviours on health & wellness. 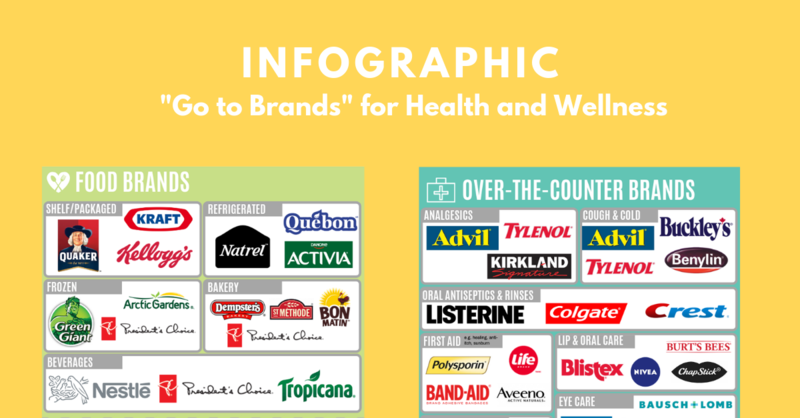 In the study we also asked them their “Go to Brands” for health and wellness by category. Here are some of the “Go to Brands” by category. Enter your NAME and EMAIL below to get a copy of the INFOGRAPHIC and sign up to receive the 2019 HEALTH & WELLNESS study available in coming weeks.